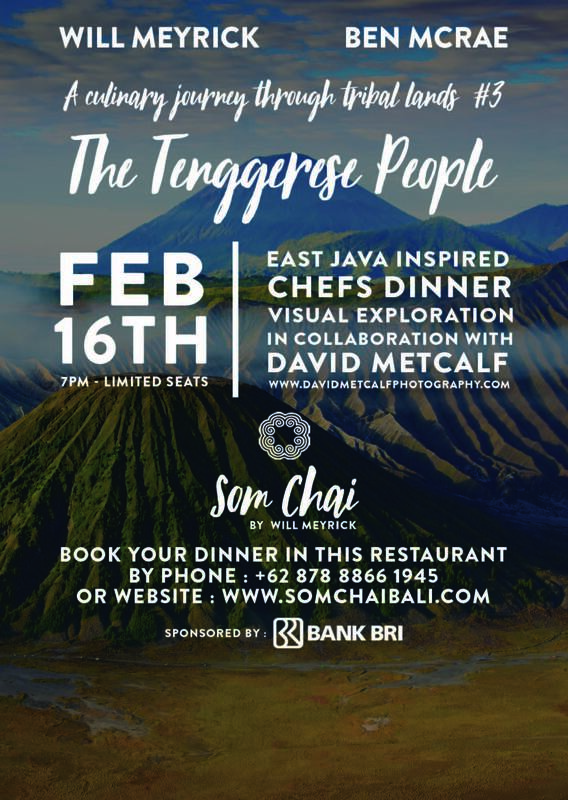 Embark on an evening of discovery as Will Meyrick and Ben McRae present a menu gleaned from the traditions of one of Java’s most revered and magical tribal cultures, the Tenggerese. Direct descendants of the Majapahit Princely kingdoms who live in the East Java region around the sacred Mount Bromo, the Tenggerese are a resilient and strong society that takes great pride in celebrating its distinctive culture through festivals, tribal gatherings and elaborate weddings. 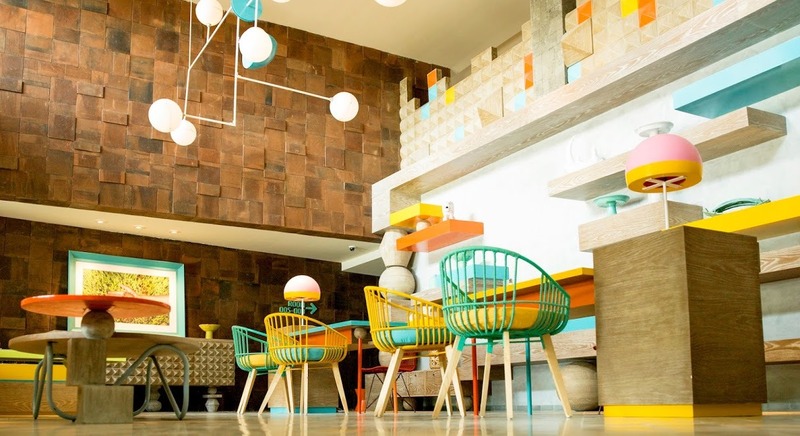 Buddhism, Animism and Hinduism run like ribbons entwining Tenggerese religion into their ancient beliefs of Ancestor worship creating a complex and fascinating culture that uses foods to communicate to the gods. 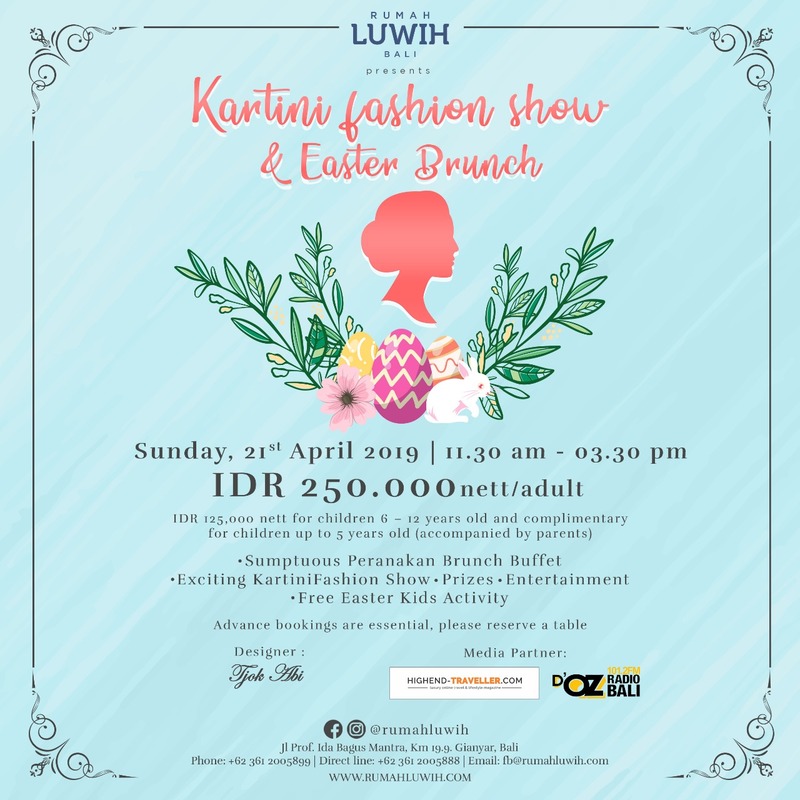 For this special event the culinary celebration will be a recreation of specific dishes found in the regions of Malang and Surabaya that integrate the Tenggerese belief in worship and physical wellbeing through an alchemical balance of connecting man with his maker. Will has recently been exploring the lands of the Tenggerese, spending days travelling through the imposing volcanic topography to discover how Mount Bromo, revered by the Tenggerese as sacred, dictates the yields of crops and livestock and produces the contrasting flows of abundance and hardship that create this extraordinary cuisine. Dry dishes less common elsewhere, full of rich spice, are served with Nasi Aron, a type of rice cake, or Nasi Tumpeng, yellow rice piled high in a concial shape. A visual exploration of the Tenggerese Festival Yadnya Kasada and other aspects of Tenggerese culture will be guided by David Metcalf, a renown photographer and guide whose knowledge of Indonesian culture spans from his years living in Jakarta and Bali and working in some of the most remote indigenous areas of the archipelago. David’s mission has always been to create communicative and supportive links to the raw purity of Indonesia’s last tribal cultures. By bringing images of the sometimes stark yet intricate communities that exist beyond the reach of ‘modernity’ he believes that the audience can understand the need for these brilliant and sophisticated cultures to retain their integrity without loosing their tribal authenticity. 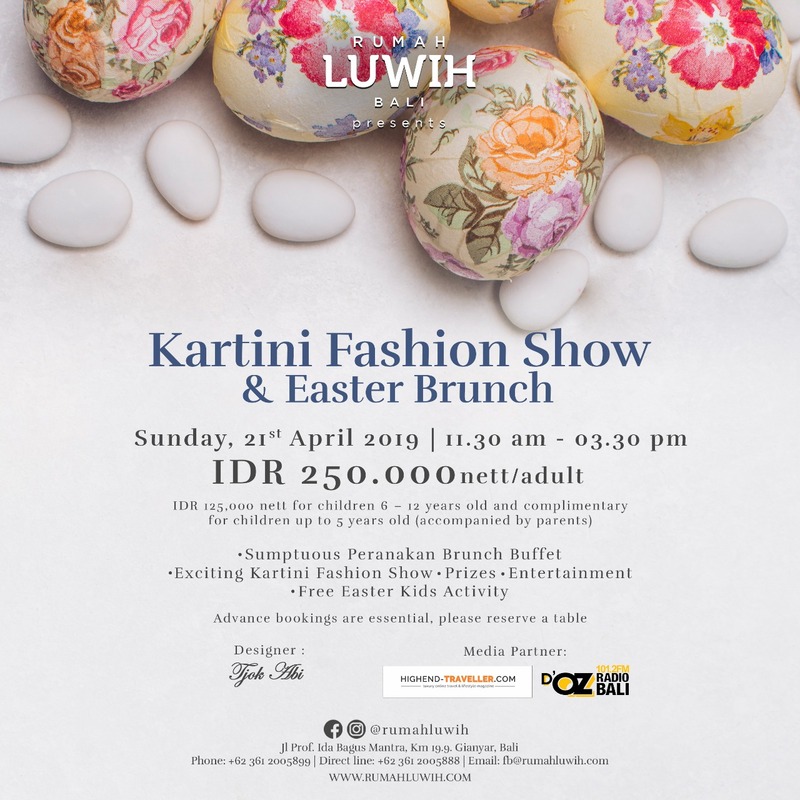 Designed to inspire and awe this special event has been conceived as a multidimensional introduction to one of Indonesia’s most ancient surviving civilisations. 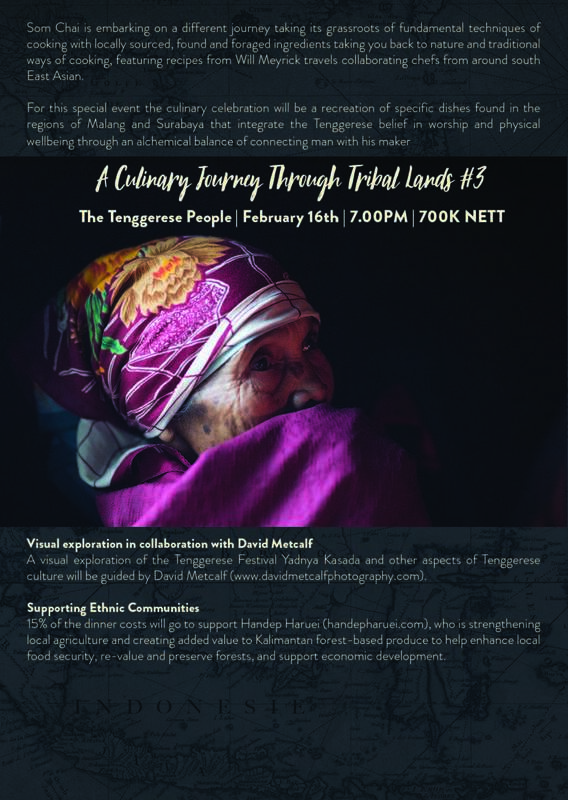 The evening will be a vibrant and joyful journey into a land steeped in magic and beauty to meet people who honour ancient traditions with fierce pride and devotion while freely sharing culture and cuisine. 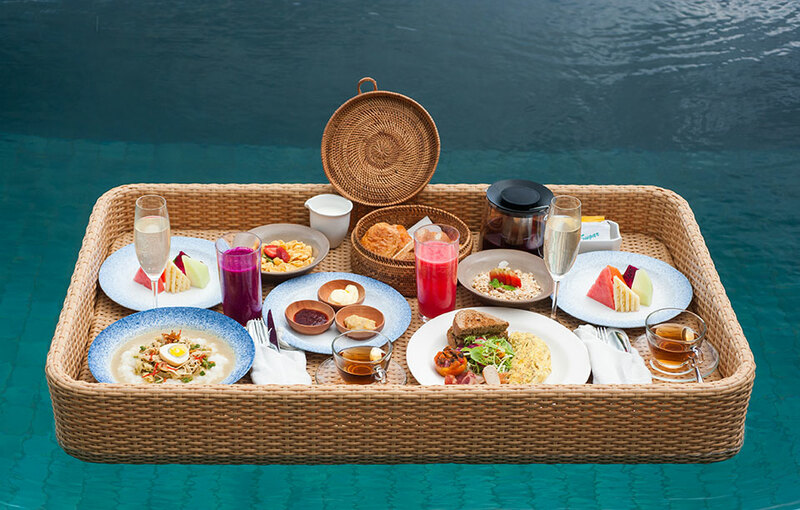 Som Chai invites you to join in a celebration of Indonesia’s rich Indigenous, cultural heritage.